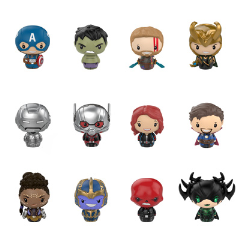 Even the most ferocious of Marvel Super Heroes and Super Villains are adorable as Pint Size Heroes. 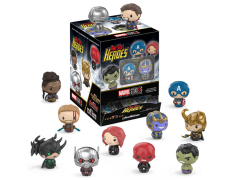 Bringing previously unachievable levels of charm, hi-tech suits and superhuman abilities to any collection, these Pint Size Heroes are available with a 1-in-12 rarity. Captain America, Iron Man, Hulk, Loki, Doctor Strange, Red Skull, Shuri, Thanos, Black Widow, Hela Ant-Man and Thor are ready to battle over the fate of the universe on a shelf near you.